Q: Accupedo does not count steps. How to fix this problem? A: You need to check following settings to keep running Accupedo in the background. 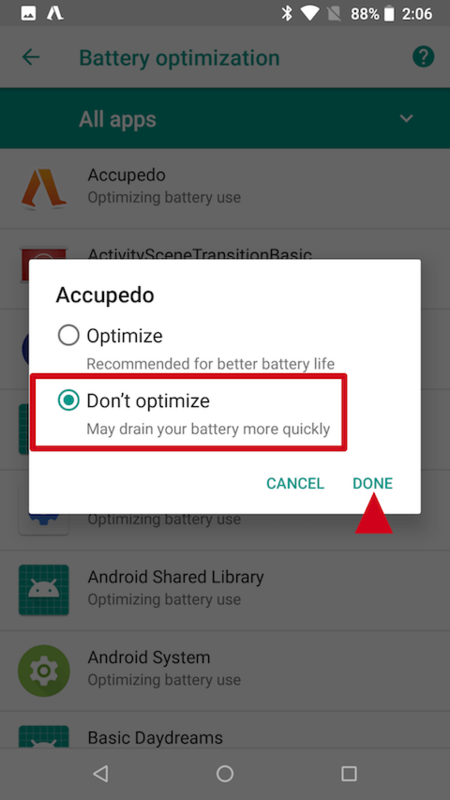 Android OS may stop an app to optimize battery consumption. 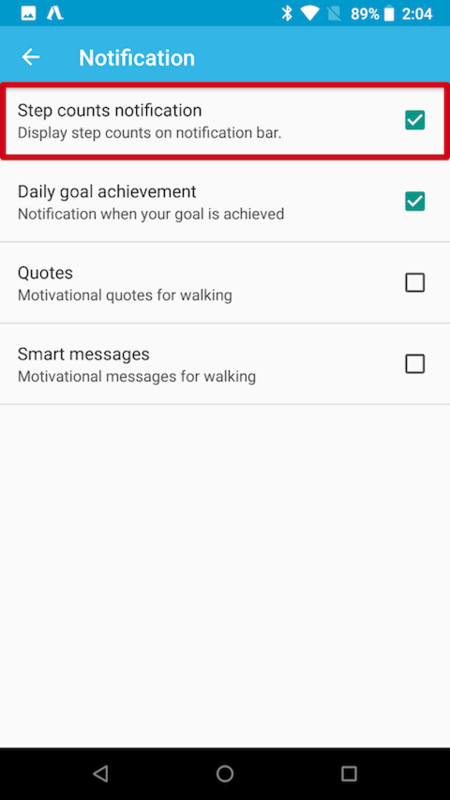 ‒ Open Accupedo app > tap Menu button > Settings > Notifications > enable "Step counts notification". Technically, this setting allows an app to run more reliably at the foreground. Phone settings are different from each phone manufacturer and Android OS version. Please set the phone not to optimize Accupedo app. LG, SONY, Pixel, Motorola, etc. 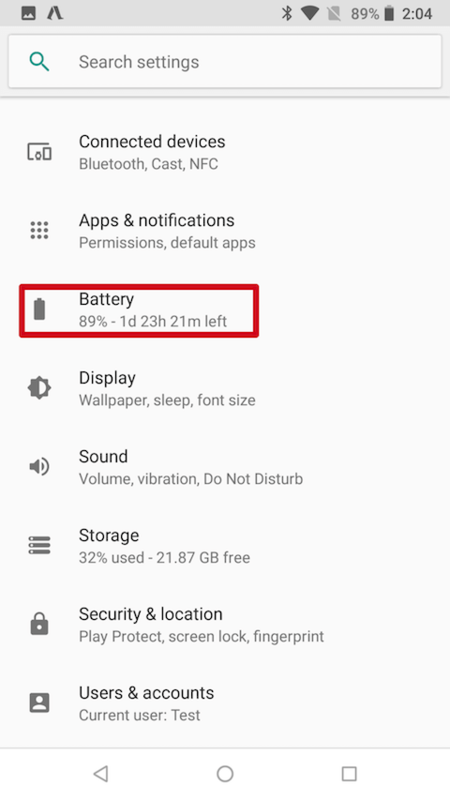 ‒ Open phone's Settings app > Battery > Three dot menu (top right of screen) > Battery optimization > All Apps > Find Accupedo in the list and tap it, and select "Not optimized". ‒ Open phone's Settings app > Device maintenance > Battery > Unmonitored apps > Add apps > Choose Accupedo and tap Done. 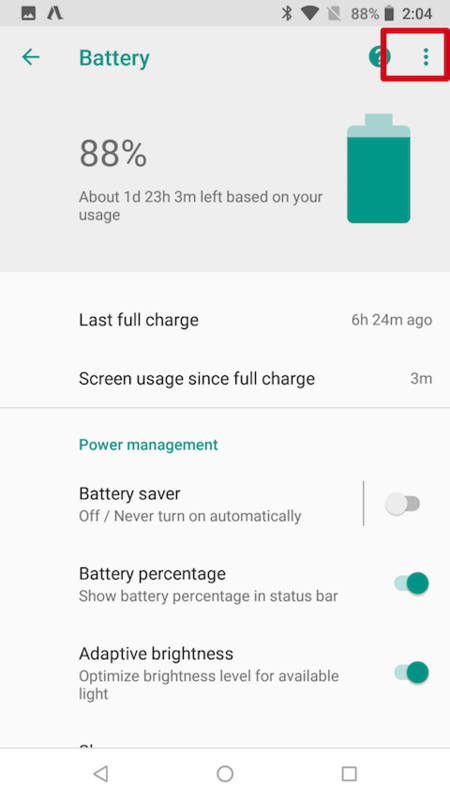 ‒ Open phone's Settings app > Device maintenance > Battery > Battery usage > Three dots (or "More" on top right) > Optimize battery usage > Click on "Apps not optimized" and switch to "All apps" > Find Accupedo and switch it OFF. 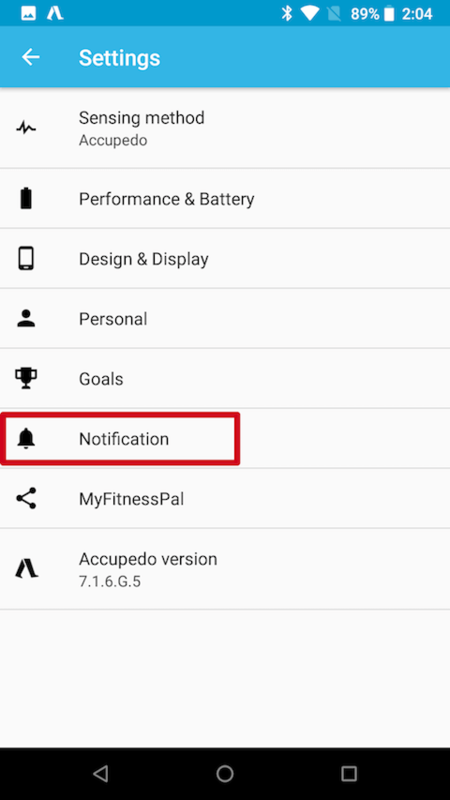 ‒ Open phone's Settings app > Device Maintenance > Unmonitored Apps > Add apps > Accupedo. Please follow the Huawei phone settings for more detail instructions. ‒ Open phone’s Settings app > Apps & notifications > Apps > Settings > Special access > Ignore battery optimisation > tap Allowed > tap All apps > tap Accupedo, select Allow, and tap OK.
‒ Open phone's Settings app > Apps > Accupedo > Battery > Power-intensive prompt set to OFF. ‒ Open phone's Settings app > Apps > Accupedo > Battery > Close after screen locked set to OFF. 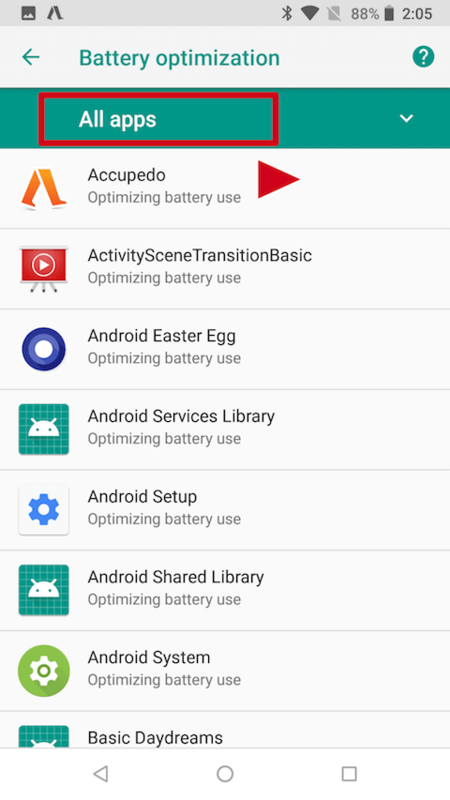 ‒ Open phone's Settings app > Advanced settings > Battery manager > Protected apps > Find Accupedo in the list and enable the switch. ‒ Open Accupedo > Press hardware app list button (square icon) > Find Accupedo card > Press lock icon next to the name to show LOCKED … or Swipe down the Accupedo card to lock (lock icon should appear next to the app name). ‒ Open phone's Settings app > Settings (cog at the bottom of the screen) > Advanced / Special access > Ignore optimizations > Drop down on the right of “Allowed” > All Apps > Accupedo > Select “Allow” + OK.
‒ Open phone's Settings app > Battery > Lock Screen Cleanup > make sure Accupedo does not close. 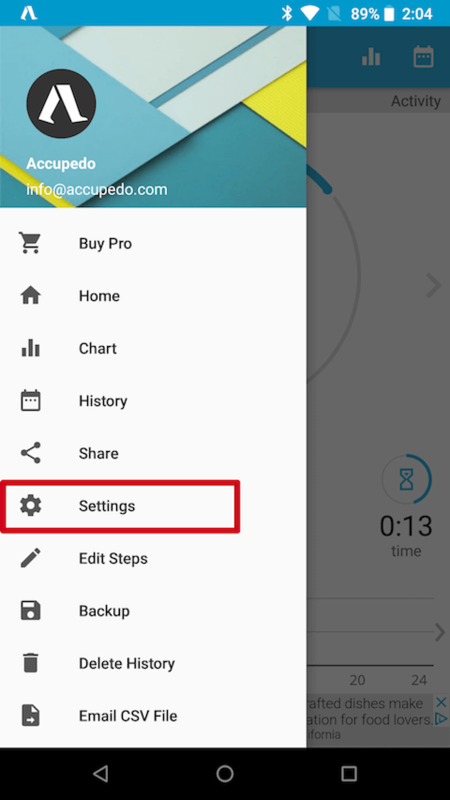 ‒ Open phone's Settings app > Permissions > Autostart > Turn ON for Accupedo. 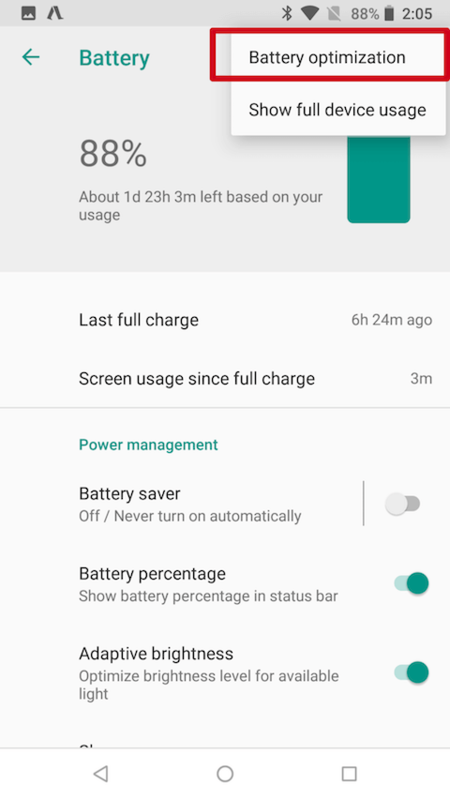 ‒ Open phone's Settings app > Battery & performance > Manage apps battery usage > Choose apps > Select Accupedo > Choose "No restrictions" under Background Settings and "Allow" under Background Location setting. ‒ Open Accupedo > Press Home button > Open the rolodex (recent apps, square or three line button) > Pull Accupedo app preview slightly down to reveal two buttons above it > Press “Lock".